Standing approximately 10-inches tall, Frosty was made of sturdy, white plastic and was mounted on an all-plastic, ivory-coloured base. Kids aged 5-10 would load ice cubes into the top of Frosty’s head then manually operate a circular grinder to create ice shavings. 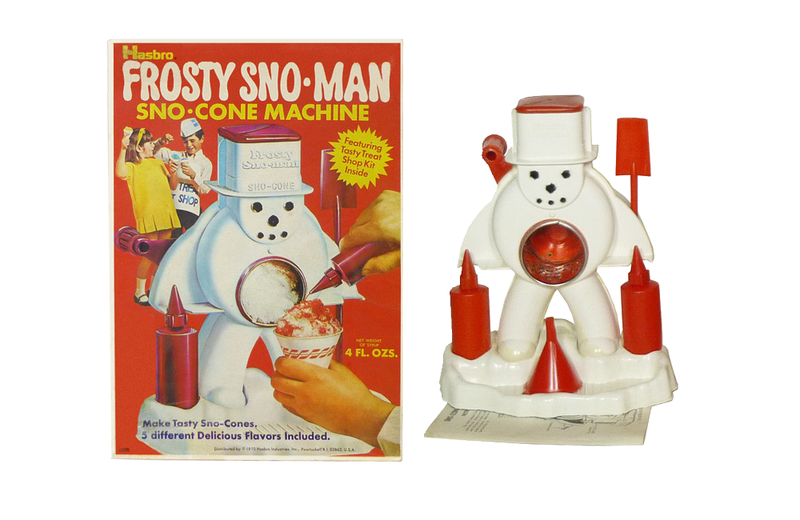 Located in Frosty’s belly, the red-handled crank mechanism was rust-proof and removable for easy cleanup. Once there was enough shaved ice in the grinder, kids used a red plastic shovel to dispense it into cone-shaped cups. The pièce de résistance of a sno-cone is the sweetener. Hasbro provided five flavour choices: orange, grape, pineapple, blueberry, and pink lemonade. Two plastic bottles and a funnel were included to easily dispense the syrups. 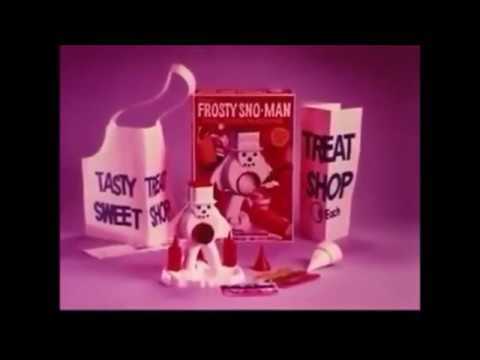 In the 1970s, Hasbro added additional flavour packets to the Sno-Cone Machine as well as a Tasty Treat Sweet Shop Kit. The updated kit also encouraged entrepreneurship with a paper apron, paper sign, and plastic hat to turn the toy into a full-fledged business. In an attempt to capitalize on the popularity of the show, Emergency! Milton Bradley released The Emergency! Game in 1973.